Alongside managing Ostersunds FK, Swedish manager Oscar Friberg has had the opportunity to take charge of his home country. In this post we will see how the Swedish national side have performed under Friberg’s leadership, including a look at the 2022 World Cup. Oscar Friberg was given the chance to realise his dream in July 2020. After a disappointing European Championships, where they crashed out in the group stage after losing every game, Sweden sought fresh impetus into the national side and appointed Oscar Friberg as manager. Although a relative newcomer to management having only managed Ostersunds FK for around three years, Friberg played 122 games for Sweden in his international career and became a well-known name across Europe with his exploits with Manchester City and Barcelona. His impressive start with Ostersund has no doubt helped his cause in becoming Sweden boss, but his playing career is possibly the main factor behind his appointment. In this post we’ll be seeing how Friberg performed in his role right from his first day up until the end of the 2022 World Cup. Let’s get started. 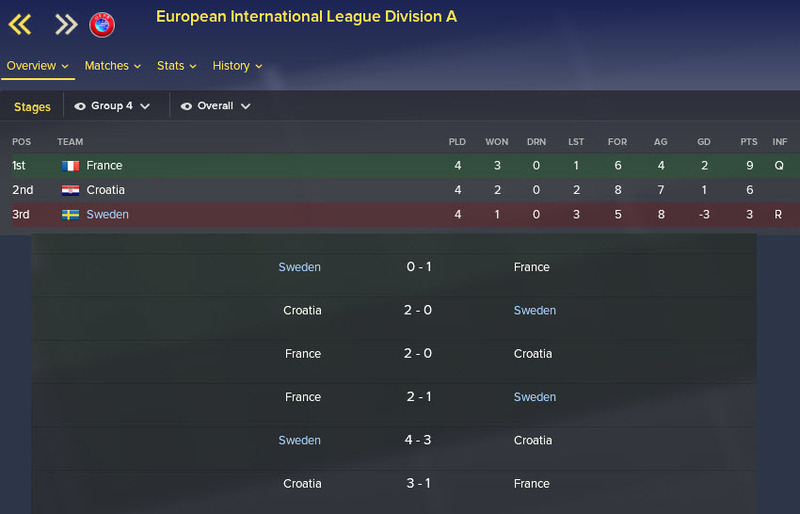 Sweden crashed out of the 2020 European Championships by finishing in last place in their group, losing all three matches. Friberg takes the reins of a despondent Swedish side but one that is determined to atone for their displays in the most recent tournament. Friberg will first lead his nation through the European International Leagues. Sweden are in the top tier, Division A, as Friberg joins them, meaning that a tough first few matches await the Swedish boss. Indeed, Friberg’s first four competitive games as Sweden manager could have been easier. Both France and Croatia provided a stern test and only one win was earned – a 4-3 at home to Croatia. Sweden can take heart from their performances in Division A but sadly they were relegated to Division B. This will start after the 2022 World Cup. Next up for Sweden: the 2022 World Cup Qualifiers. Sweden were given a relatively easy group in the World Cup Qualifiers and would consider themselves firm favourites to secure their qualification through to the 2022 World Cup. But any complacency will result in dropped points, Friberg will need to appreciate this. Losing 3-0 at home to Poland in the first game of qualification created a media frenzy in Sweden. Some media outlets were already calling for Friberg’s head, stating that he was nowhere near cutout for this level of management. But a close win against Albania set Sweden on their way and they only dropped two more points in the entire campaign. A 13-0 win, albeit against lowly Andorra, highlighted the attacking threat that Sweden possess; they failed to score in only one of the 10 qualifiers. Sweden were drawn alongside hosts Australia, Nigeria and Paraguay in Group A. This has to be one of the easier outcomes for Sweden and they can certainly expect to qualify for the knockout rounds. Before we find out how we did in the World Cup, let’s take a look at four of our stars that helped get us there. Isak scored 12 goals in the qualification stage and only played in 6 of those games. He has become a very important member of the Swedish side and it shows – he has 27 goals in 28 caps for Sweden. Emil Forsberg was a constant threat for us, cutting in from the left-hand side and creating chance after chance for our forwards Isak and John Guidetti. At 30, he perhaps won’t be a part of the Swedish sides for many more years to come, but he has certainly helped us as we progress through to the WC. Augustinsson linked beautifully with Forsberg down the left-wing. In looking for the overlap, we always threatened down the left side and Ludwig was crucial to this. His all-round attributes served us very well in both defence and attack and he will have a huge role in our WC team. Our final key man to review is Victor Lindelof. He is clearly the standout player in our squad and with several years of experience playing at the highest level with Manchester United, he has developed into an elite centre-back. A rock at the heart of our defence, Lindelof won’t be an easy opponent to come up against. So, two years after their humiliation at the Euros, Sweden are ready for the biggest tournament in football. 3 games – 3 losses. A repeat of the 2020 Euros. Sweden have once again bottled a major tournament and this time is perhaps even worse than before. Sweden came into this World Cup full of hope after a brilliant qualifying campaign. Players like Isak and Forsberg were coming into this tournament in top form but did not deliver when it mattered. We were a shambles defensively, conceding 11 goals in three games. We conceded just 7 in qualifying. Friberg has failed with Sweden, and the crushing blow from this defeat has led to his resignation from his beloved nation. Was it the right time for Oscar Friberg to take the managerial reins of his nation? In managing Ostersund at club level, Friberg’s time was clearly split between club and nation, though it didn’t seem to affect his club role. Perhaps national management came too soon for Friberg, but he must surely be a better manager for the experience. Not many managers can say they have led their home nation to a World Cup! In the next post of our story with Friberg, we will see how his Ostersund side have performed in his seventh season at the club. Can they reclaim their title in 2023? Thank you very much for reading another instalment of our Football Manager 2018 story here on VivaLaVidaFM. It’s clear that our time with Sweden didn’t go as we’d have hoped. But at least we can now turn our full attention towards Ostersund and our continued quest for domestic dominance. 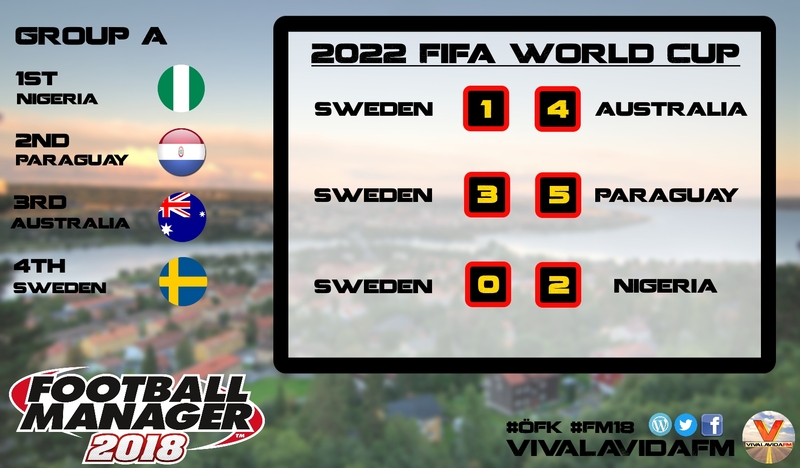 This entry was posted in FM18 Stories, Football Manager 2018, Oscar Friberg, Ostersunds FK | @VivaLaVidaFM and tagged alexander isak, fm stories, fm18, football manager, Oscar Friberg, ostersund, sweden, world cup. Bookmark the permalink.